This team should probably just call itself Angels. 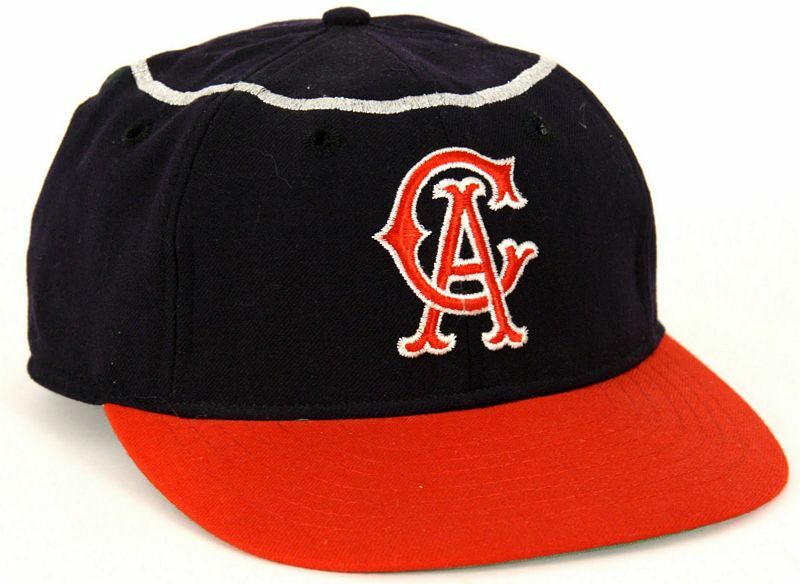 Following the move of the NL Dodgers and Giants to the west coast in 1958, MLB expanded to put an AL team in Los Angeles in 1961. 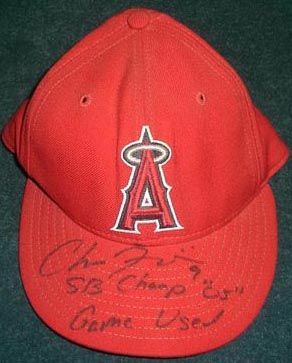 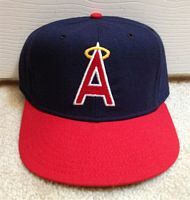 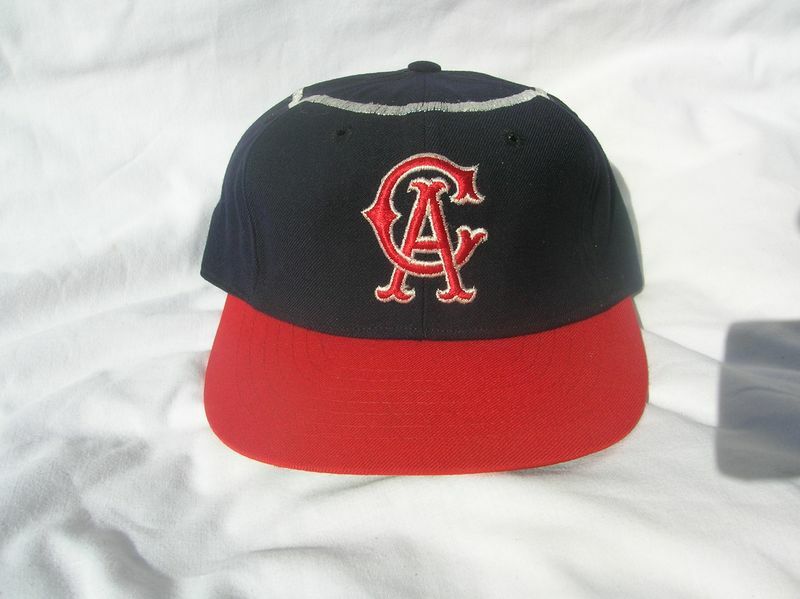 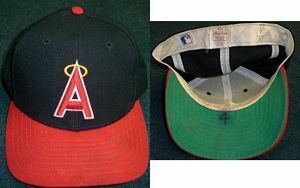 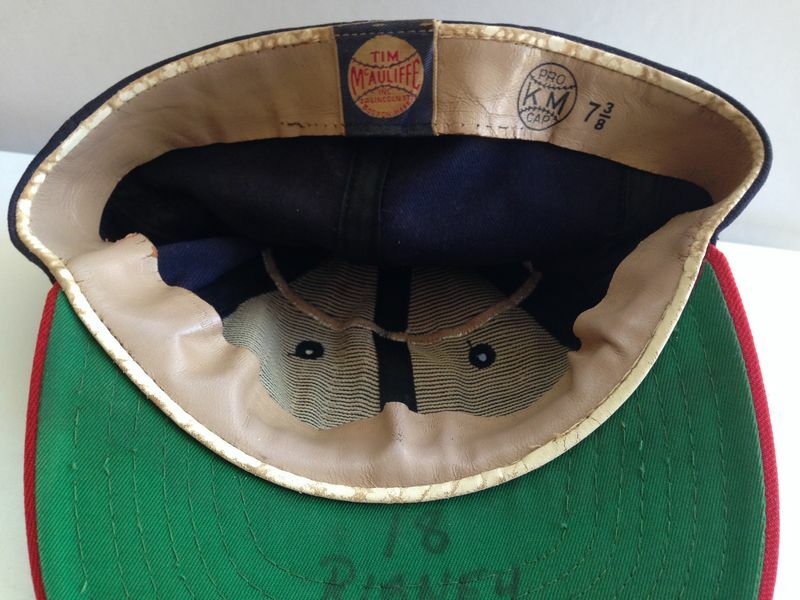 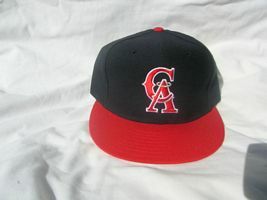 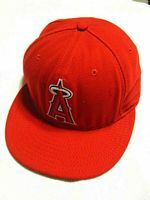 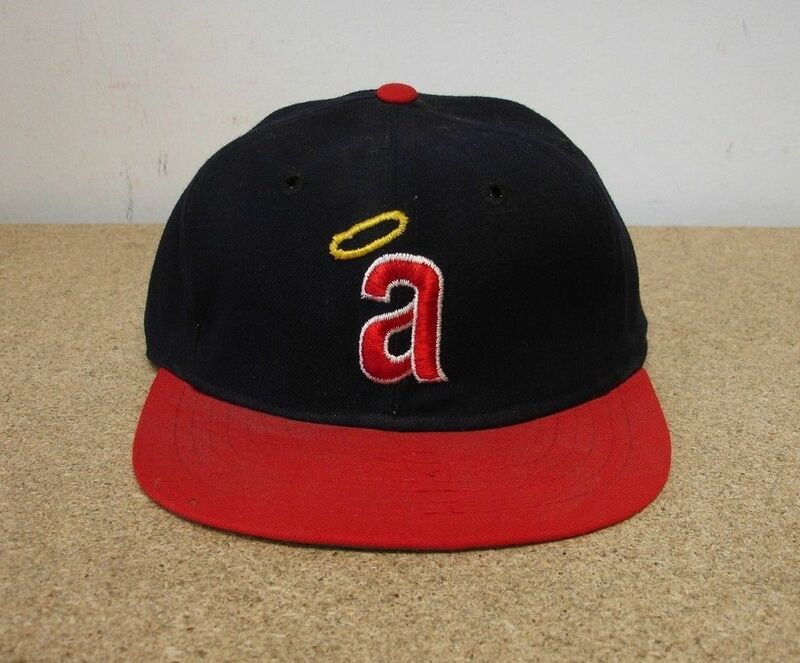 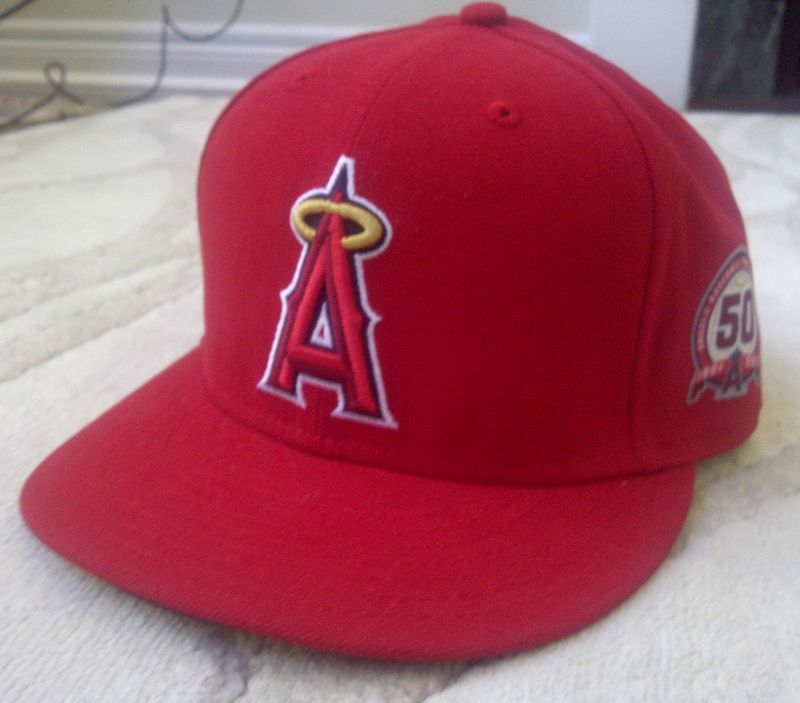 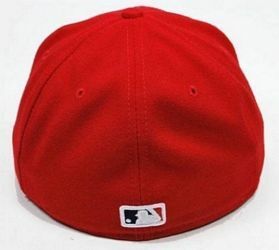 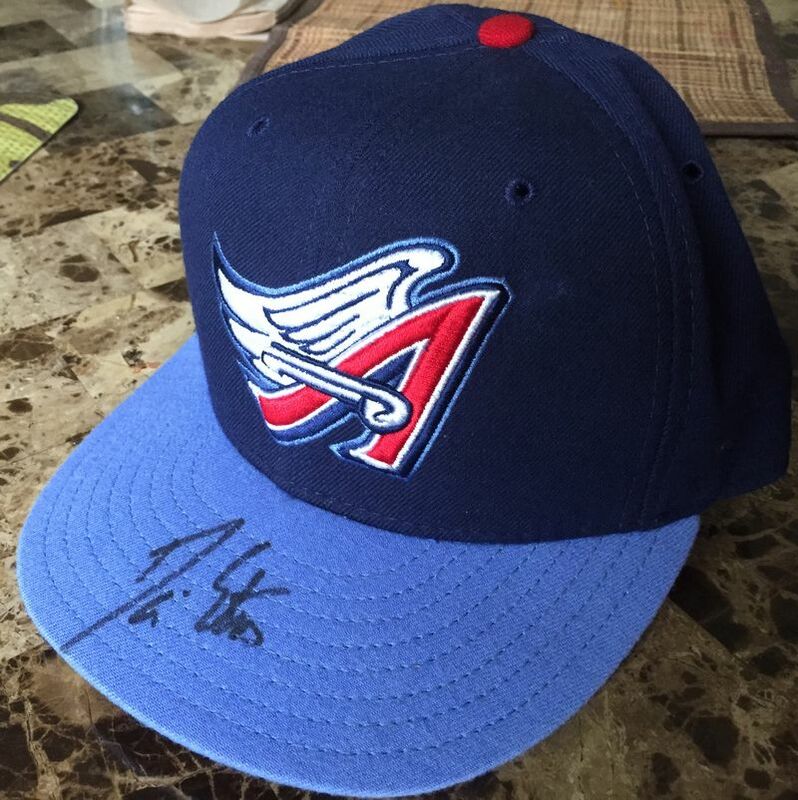 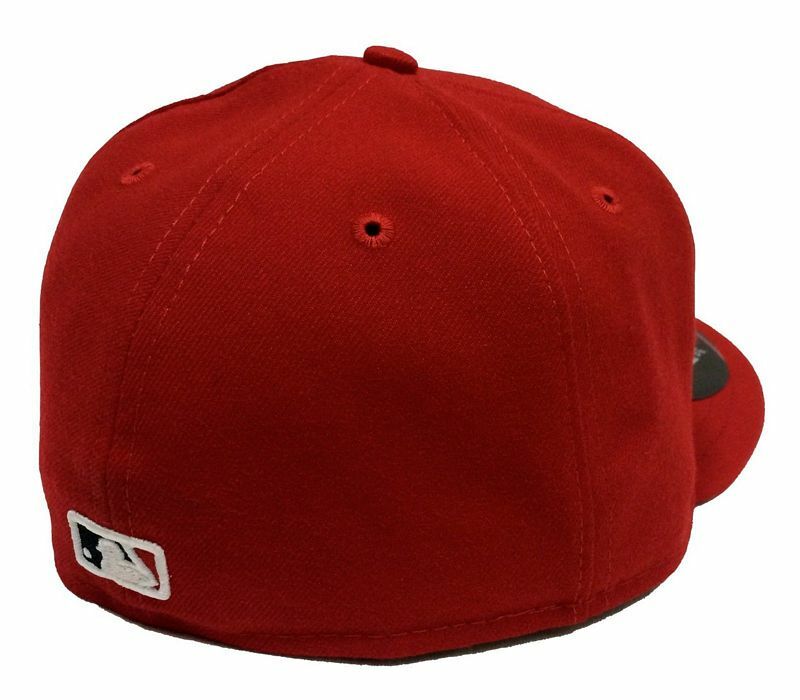 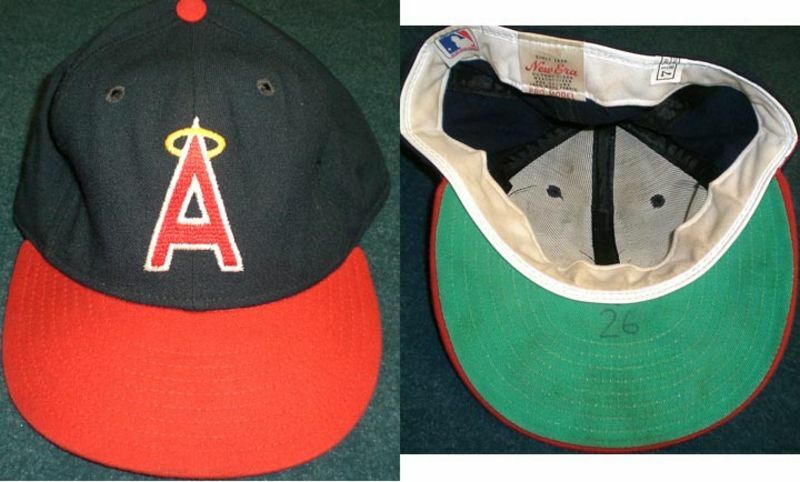 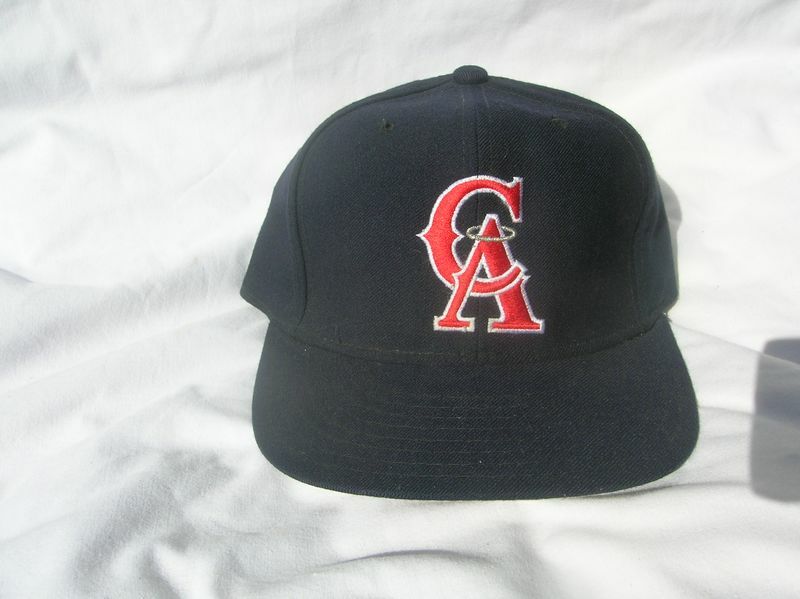 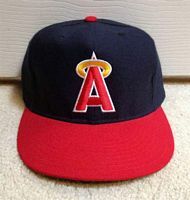 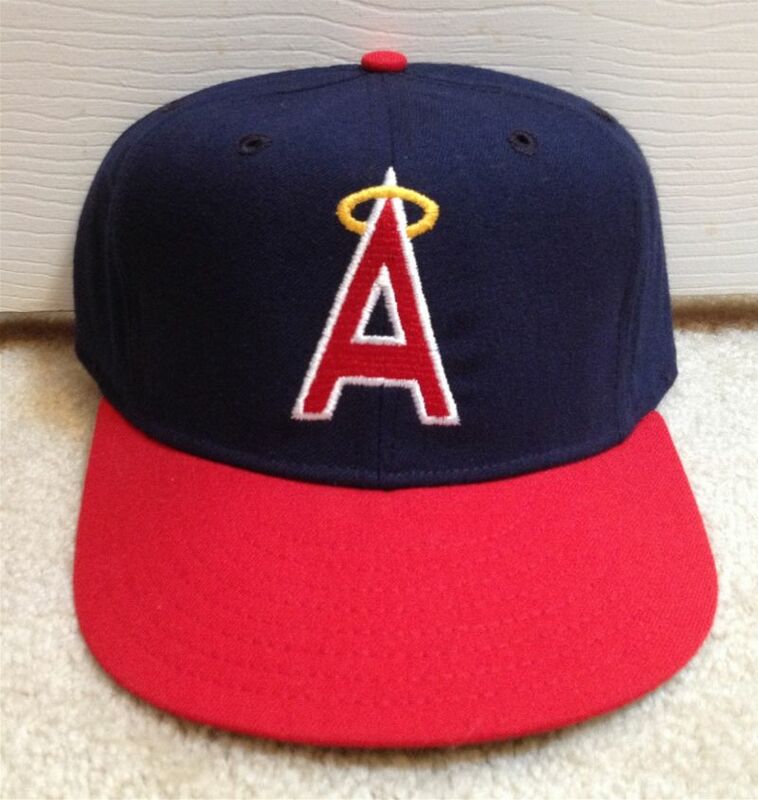 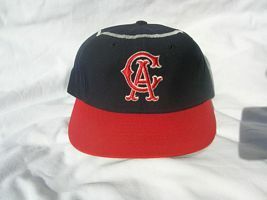 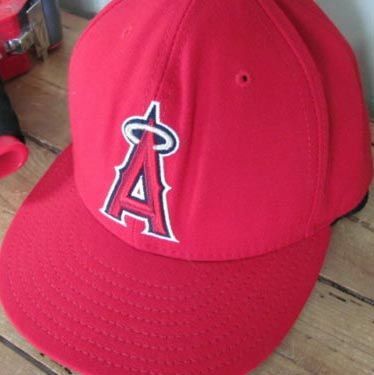 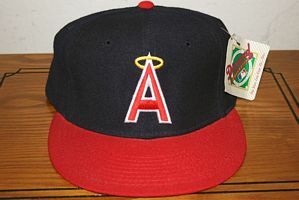 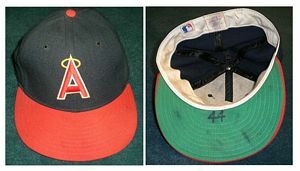 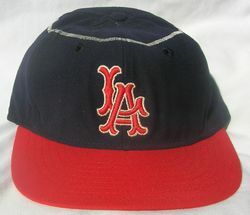 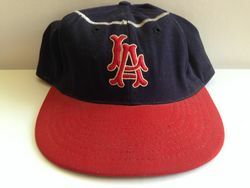 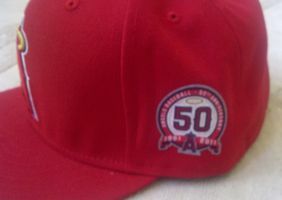 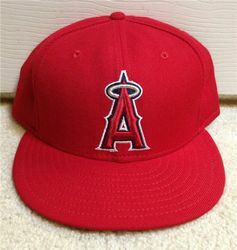 Beginning play as the Los Angeles Angels, the first cap had the classic halo on the crown. 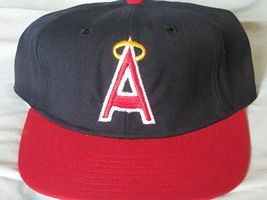 Upon moving into their new stadium in Anaheim the team is renamed the California Angels. 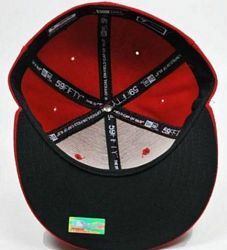 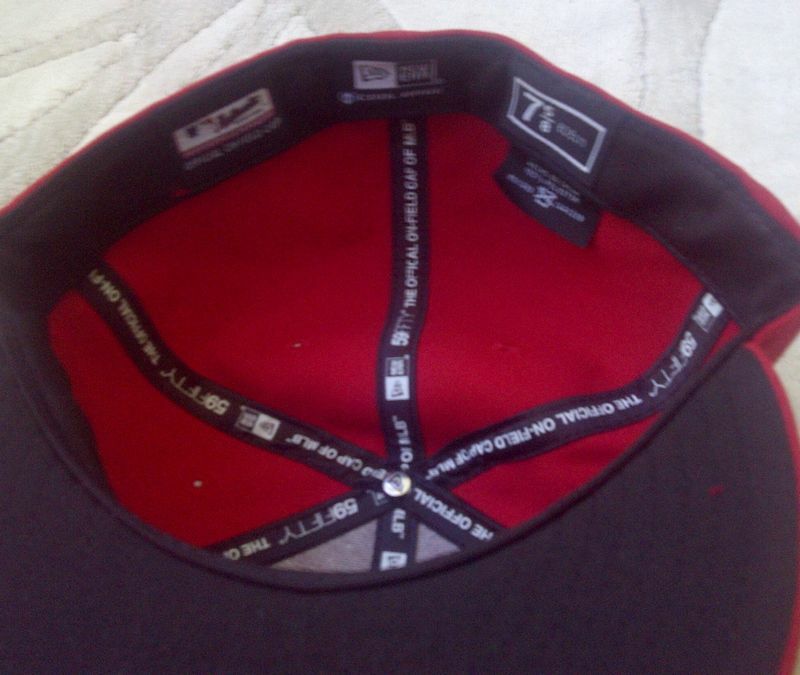 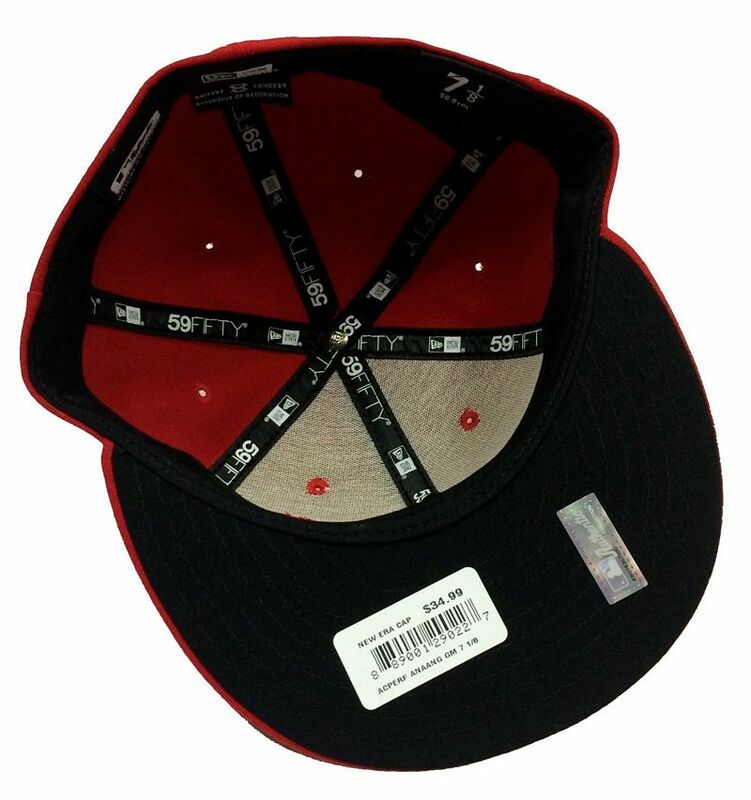 The logo changed to a "CA" but the cap design remains. The logo changes to an uppercase "A". 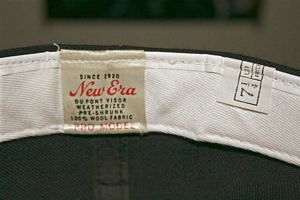 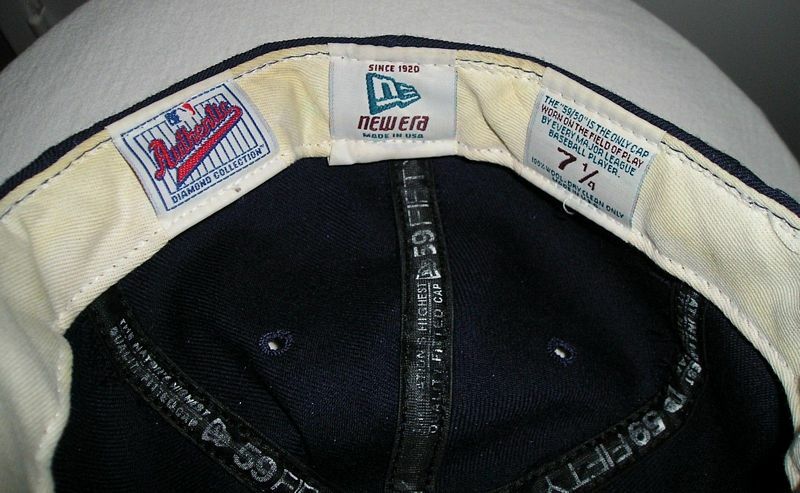 By 1975, New Era has taken over. The top of the "A" becomes tapered. 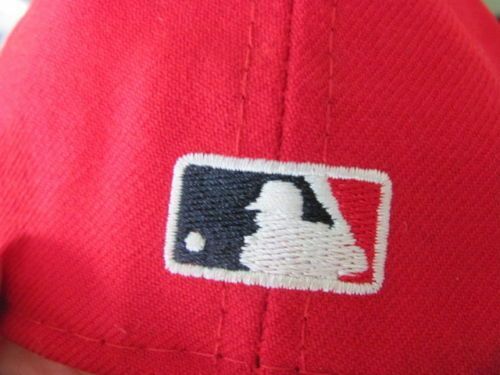 The logo gets much thicker. 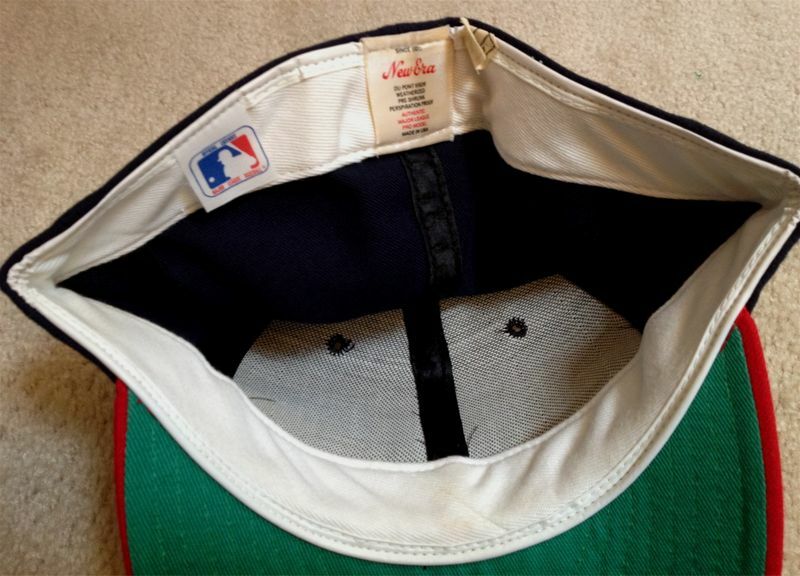 In 1992 the MLB logo gets glued on the back. 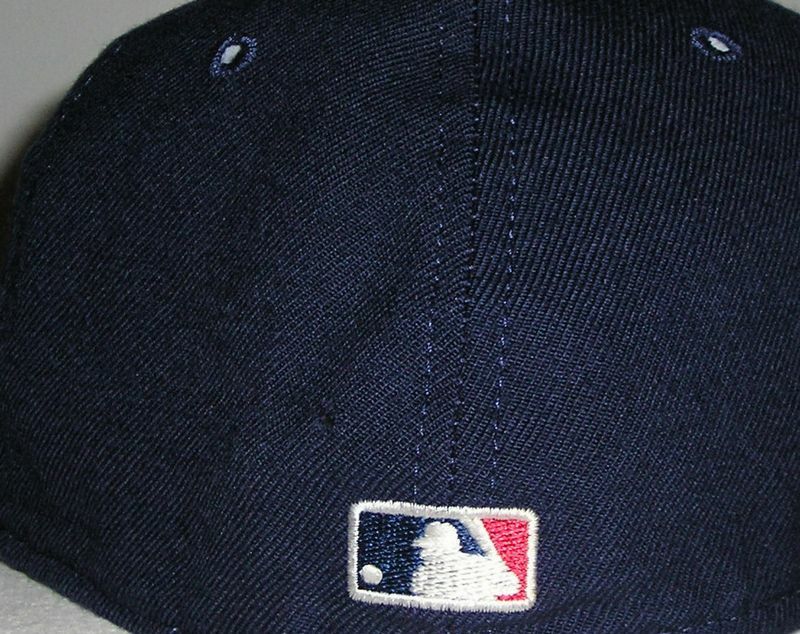 Over the course of the year it becomes embroidered directly. 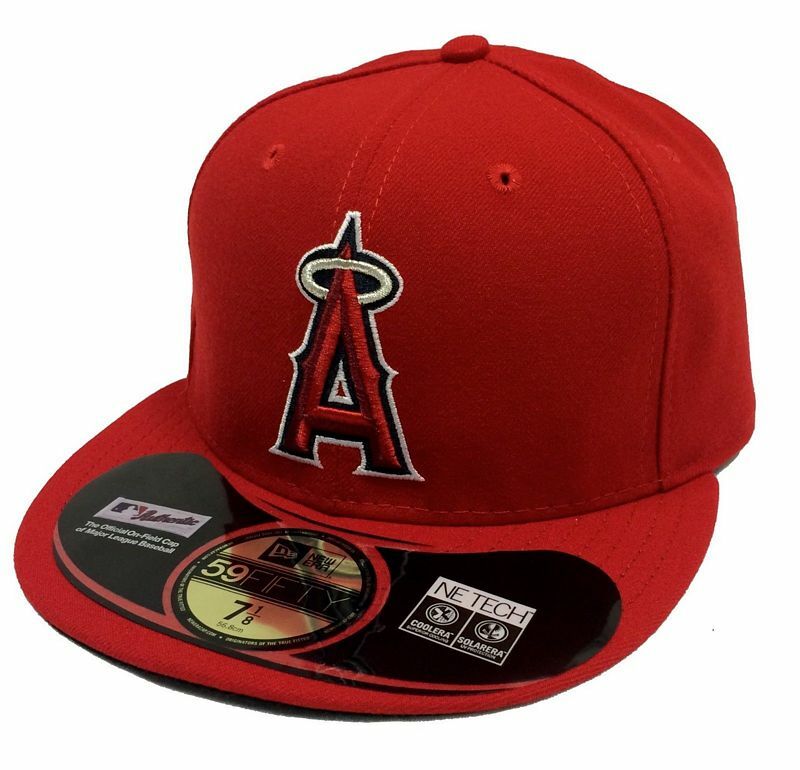 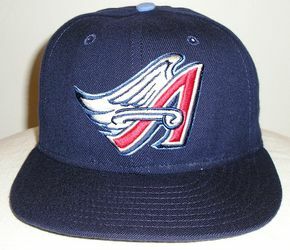 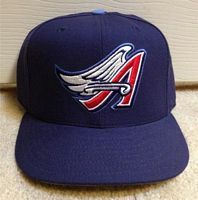 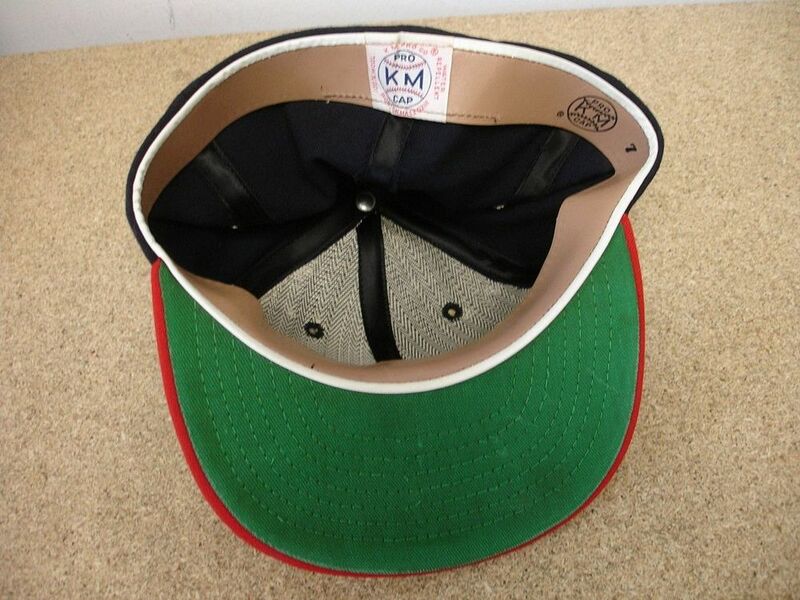 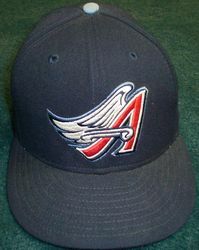 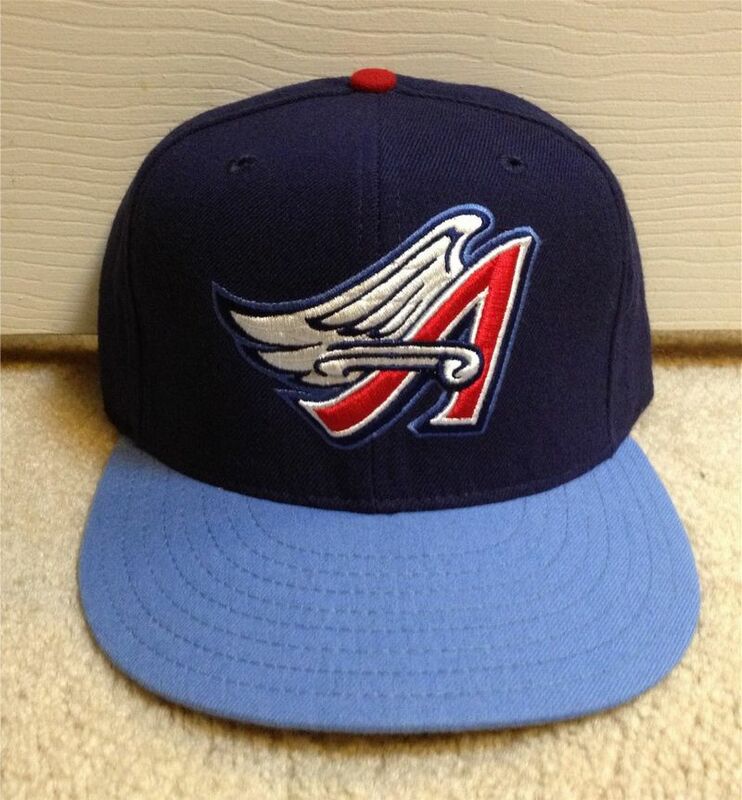 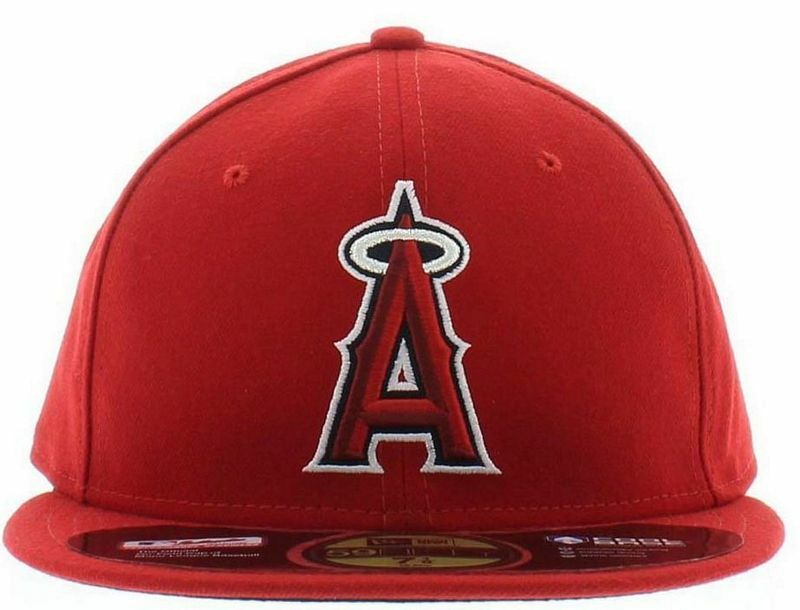 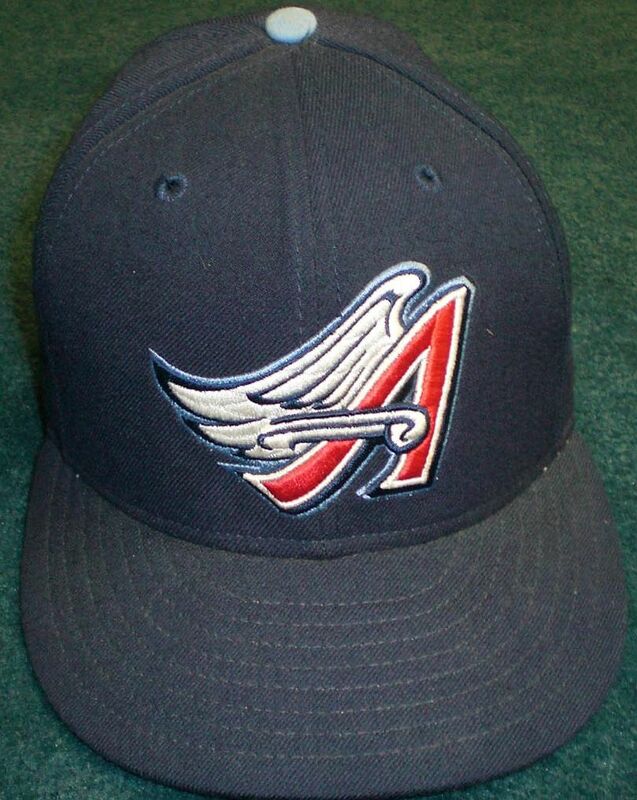 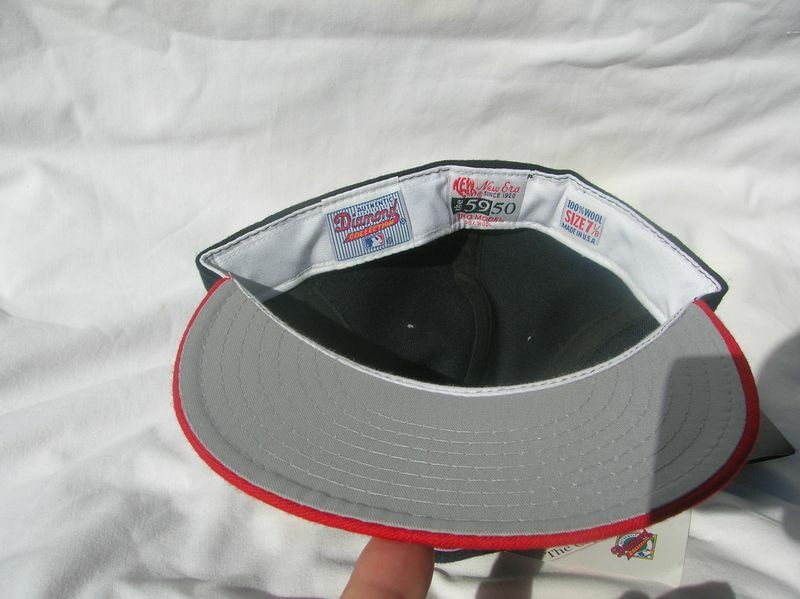 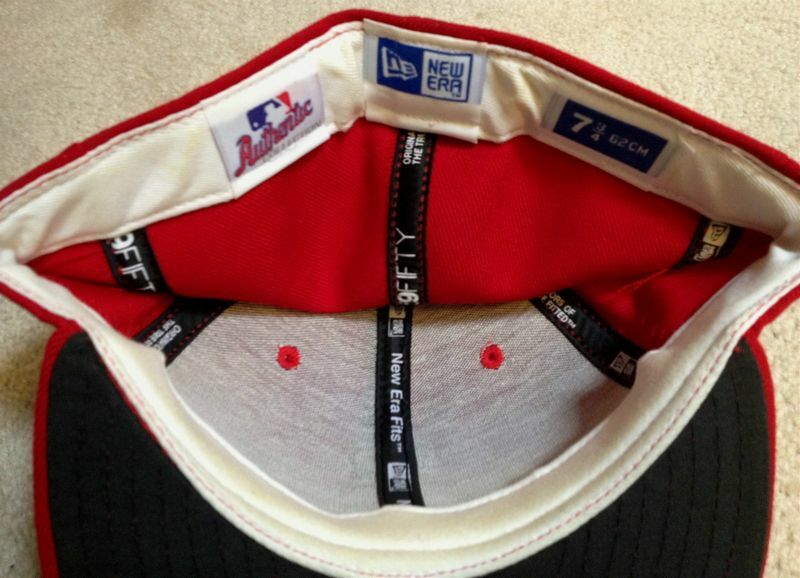 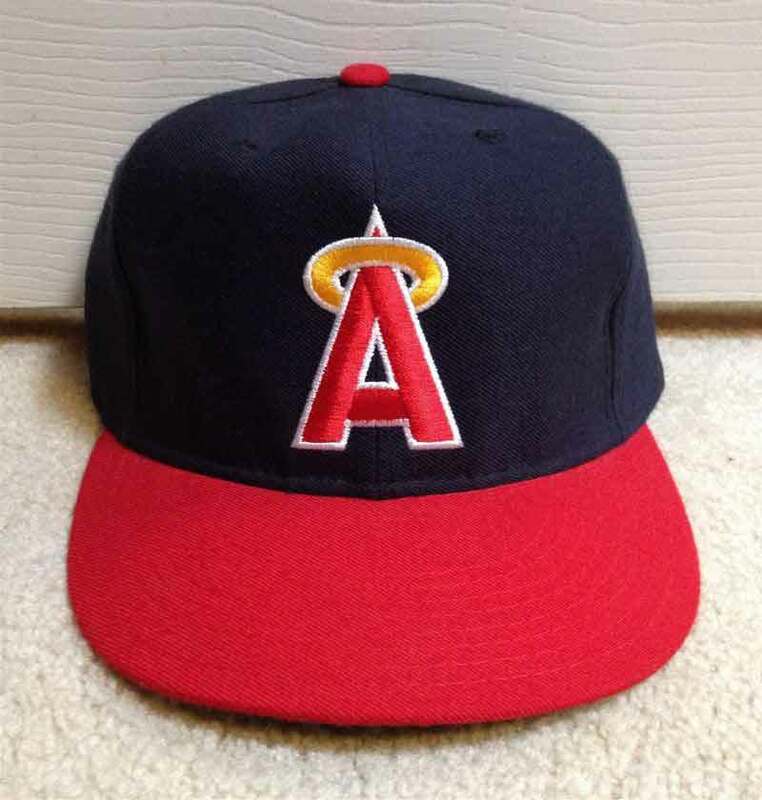 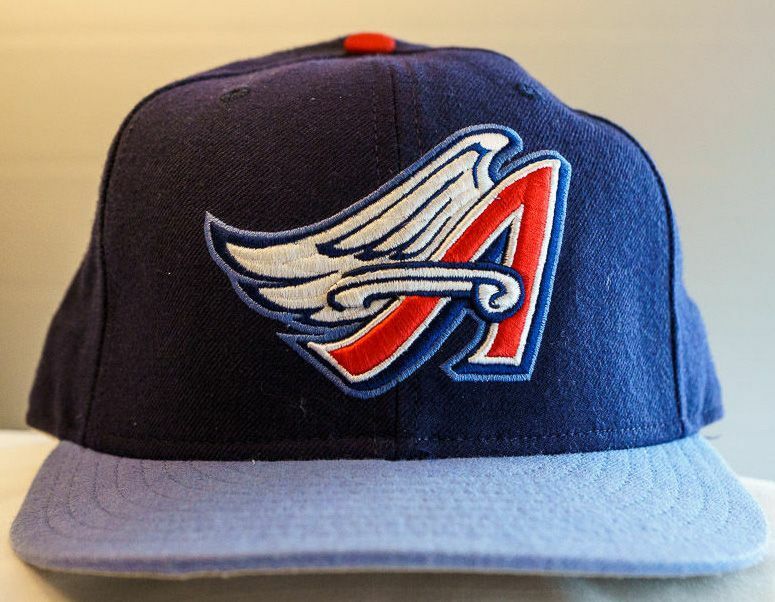 The Angels return to a look reminiscent of the late 1960's, and a road cap is introduced. 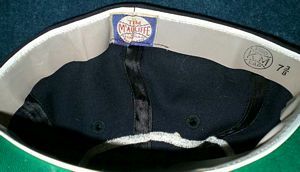 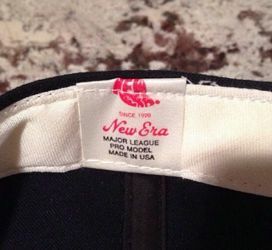 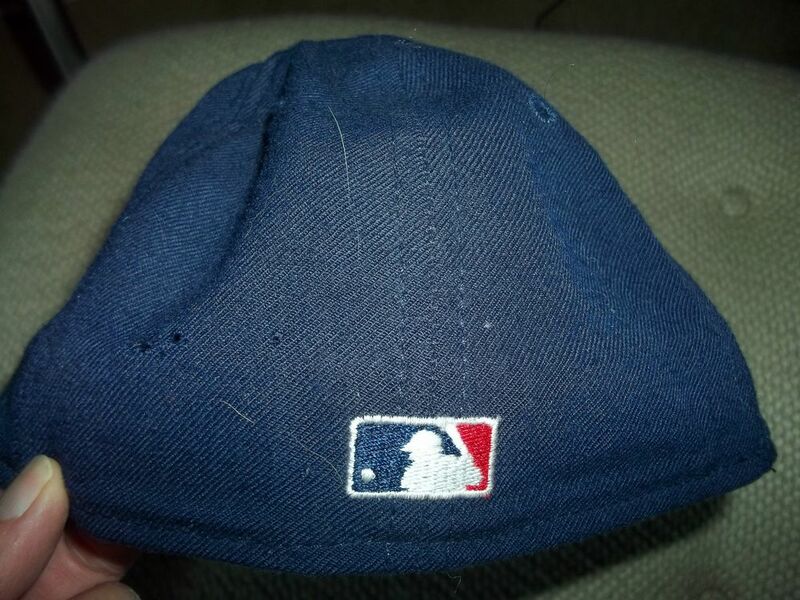 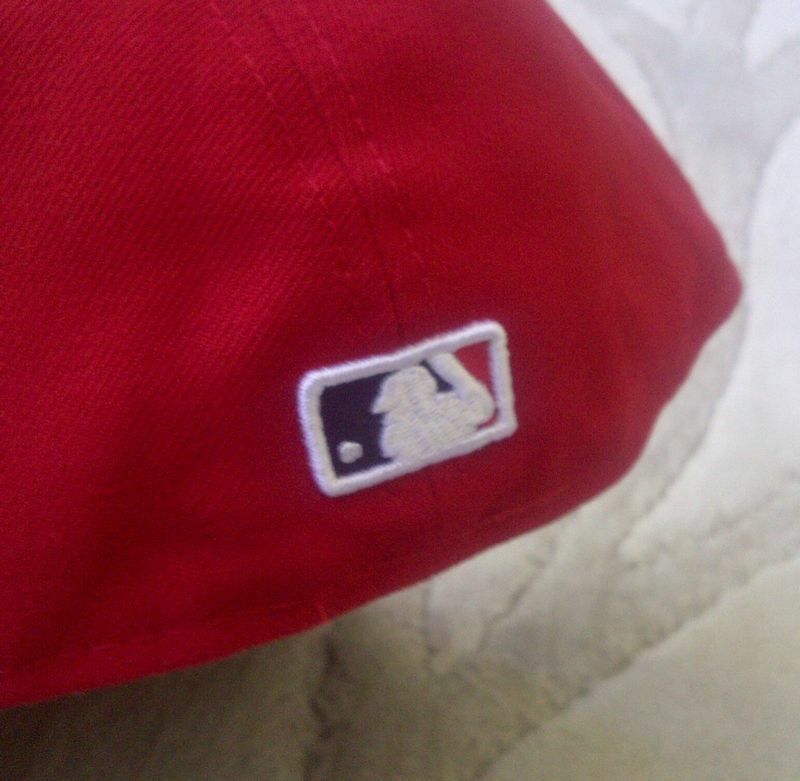 The MLB logo is embroidered on as of 1993. With Disney as the new owner and a renovated stadium, the team changes its name again to the Anaheim Angels, and totally revises its look and colors. 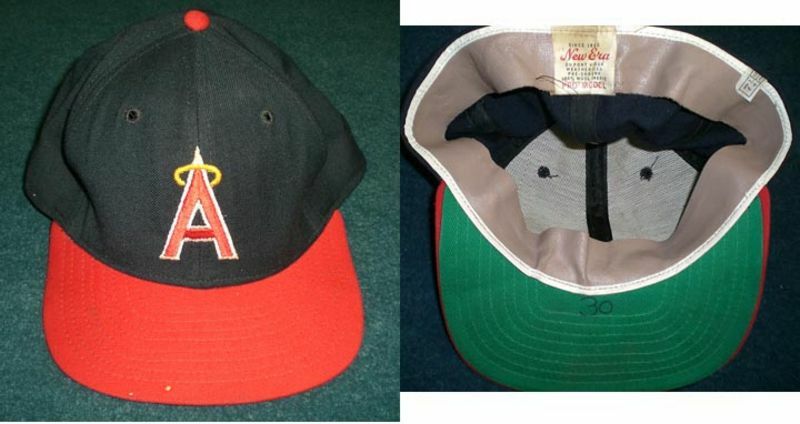 During 1997 the Angels had become the first MLB team to try black undervisors, though not all players wear them. 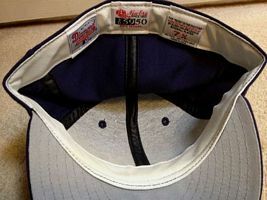 Looks like most if not all players wore black undervisors by 1998 or 99. 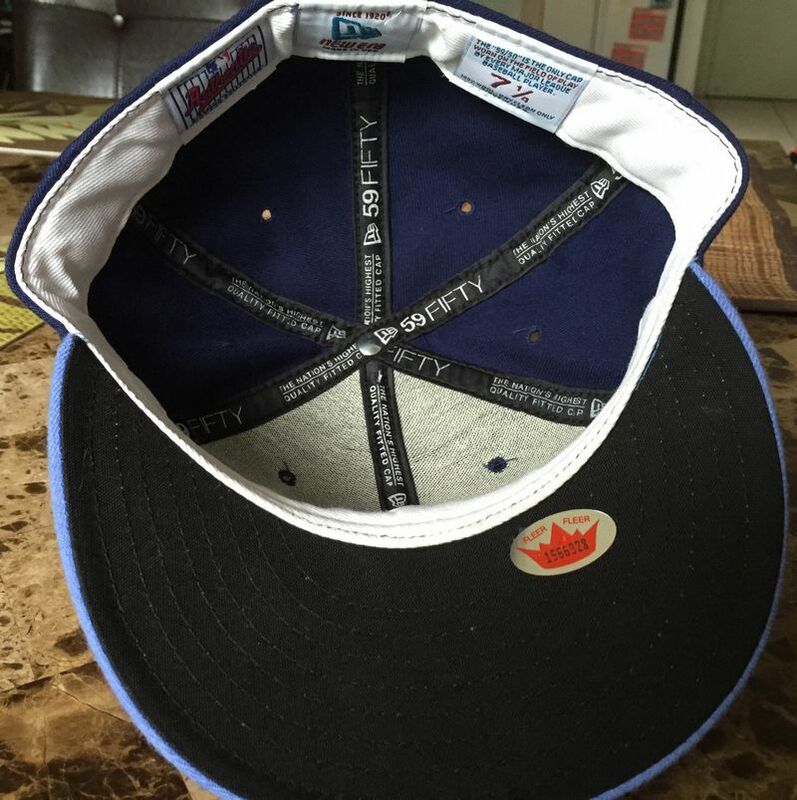 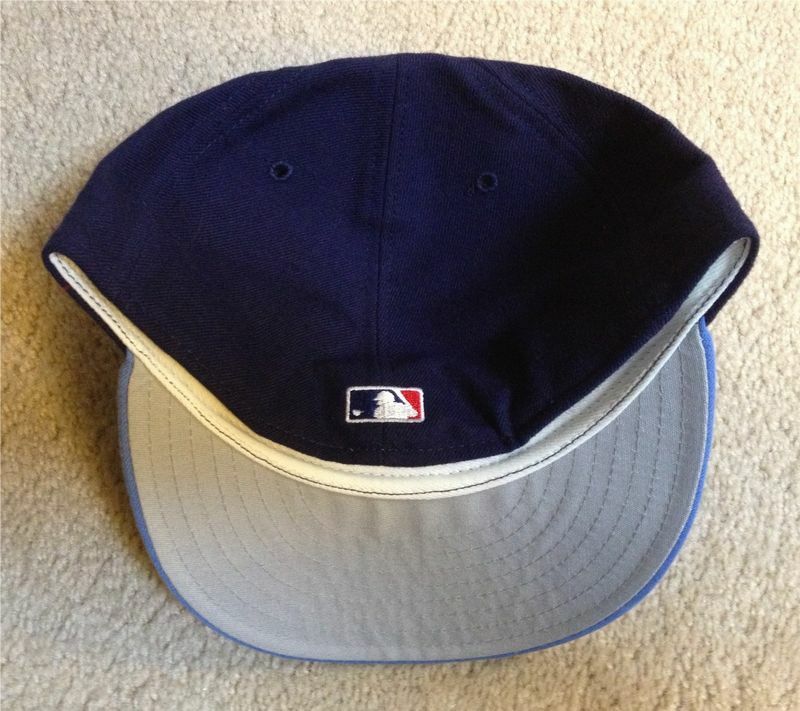 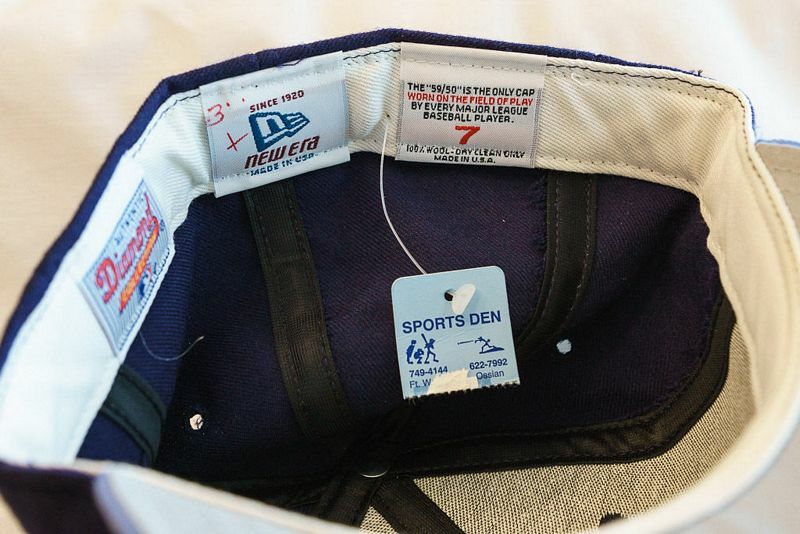 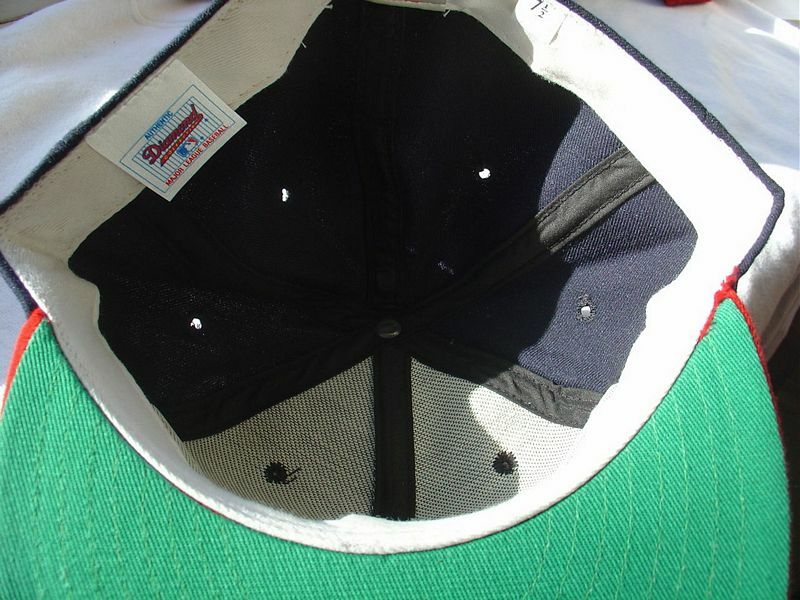 The light blue-billed alternate cap is retired. 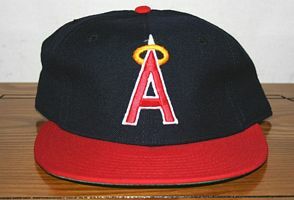 The team returns to the original color scheme in 2002 with a new look. 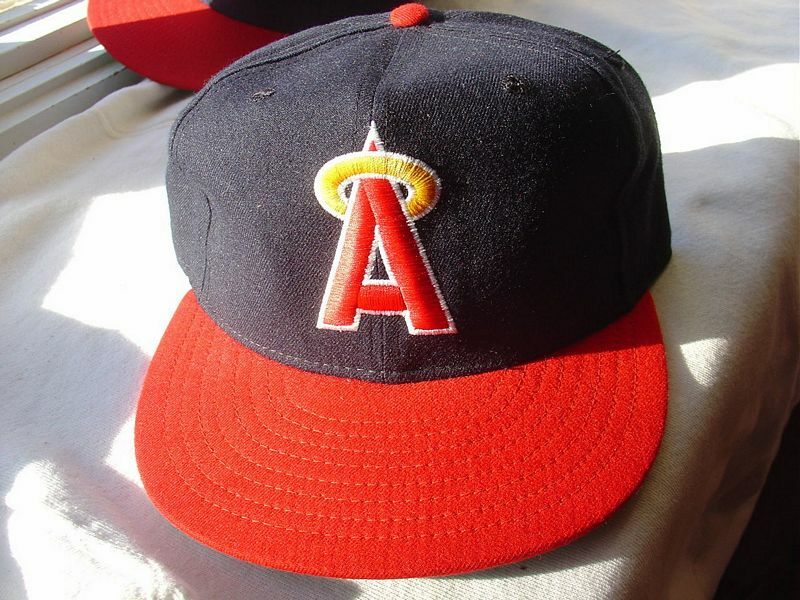 Another owner, another name, and the Los Angeles Angels of Anaheim are born. 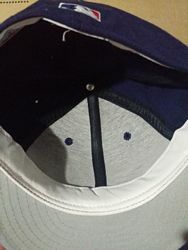 The jerseys and caps stay as is. 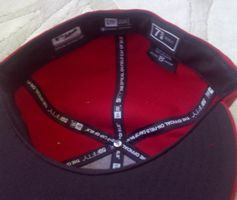 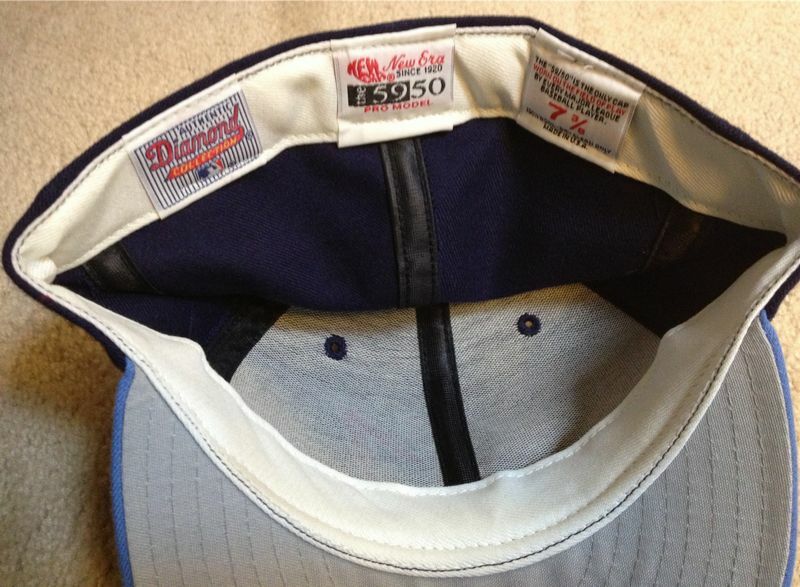 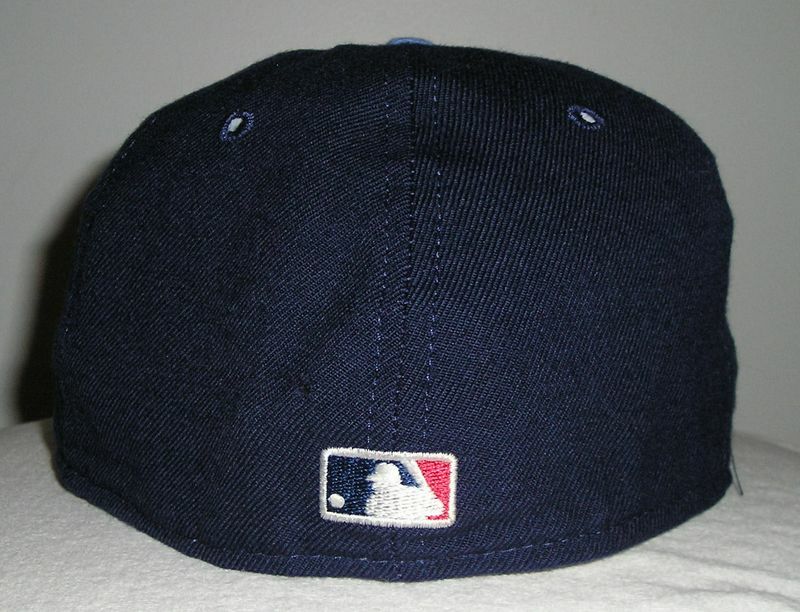 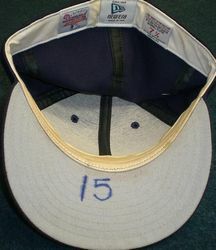 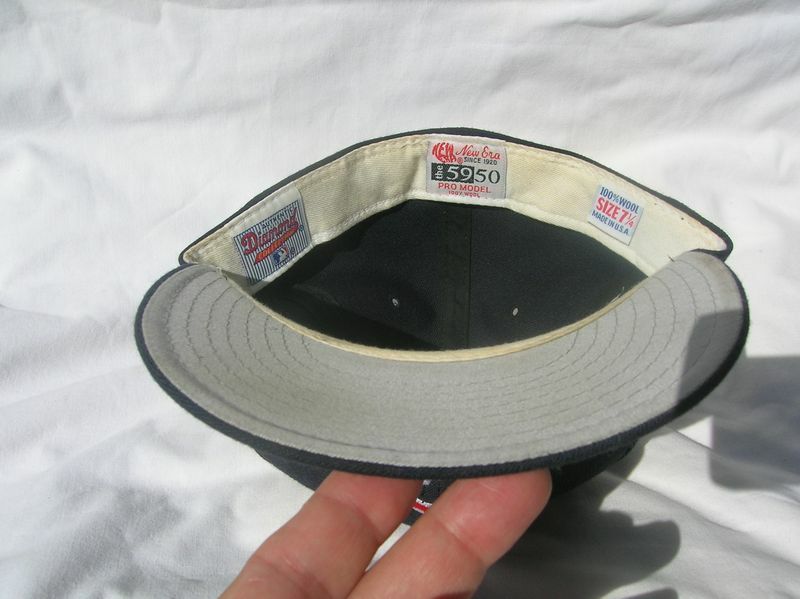 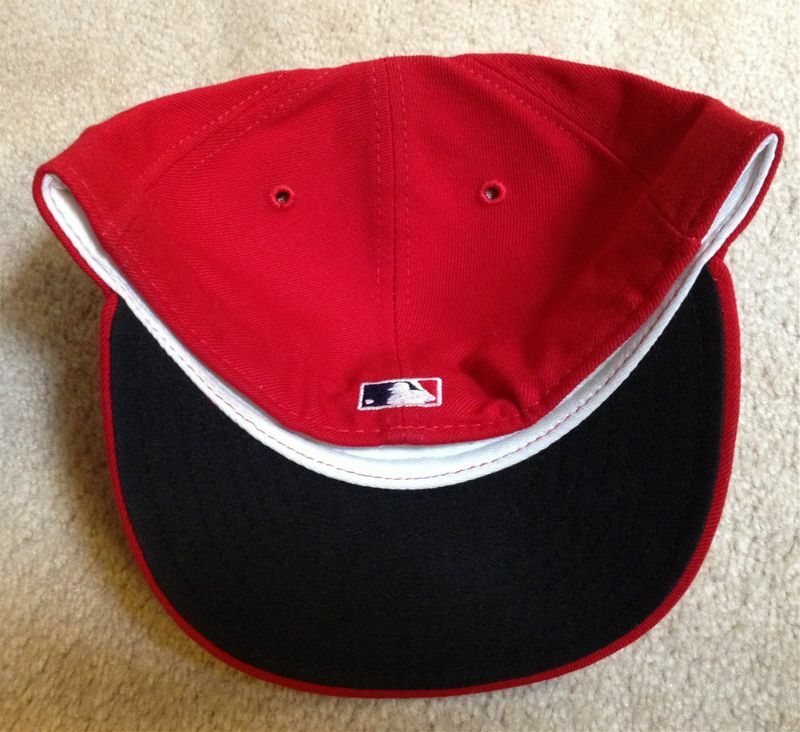 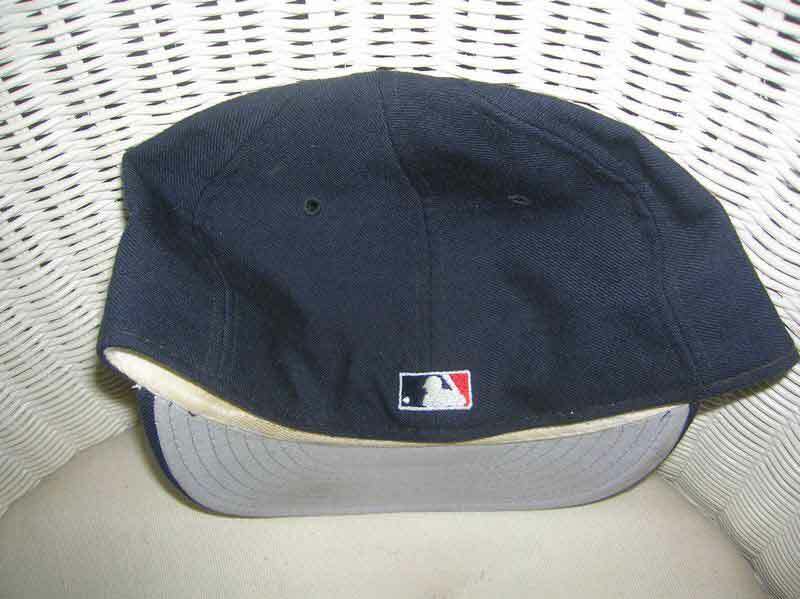 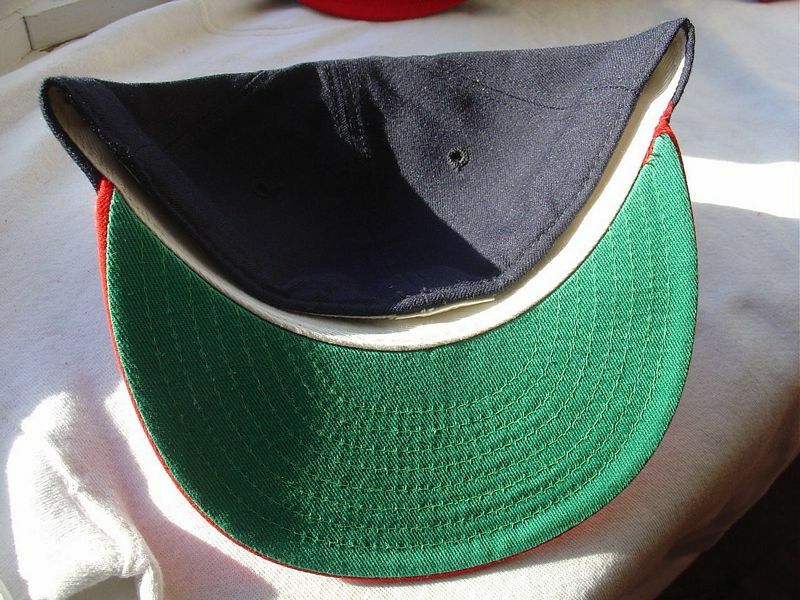 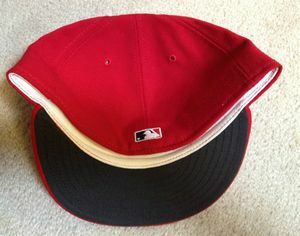 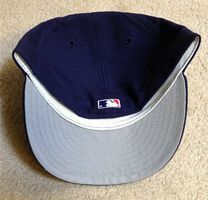 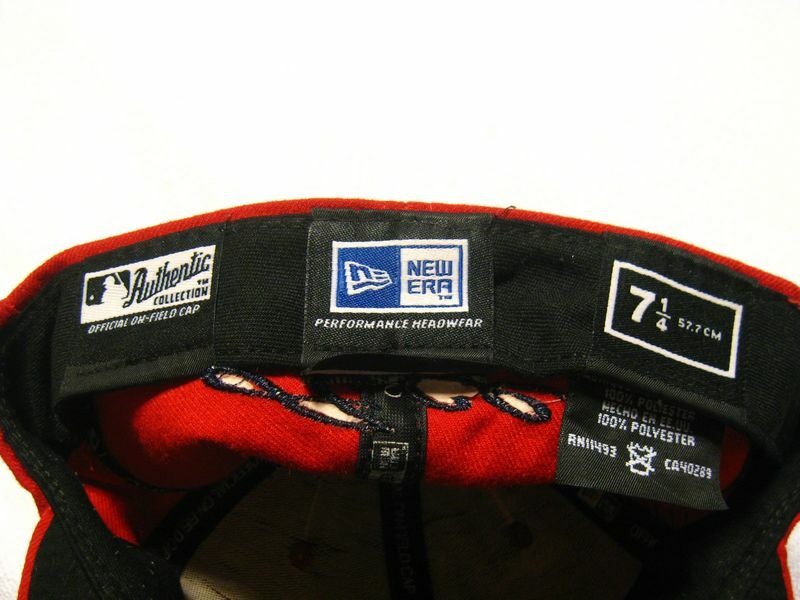 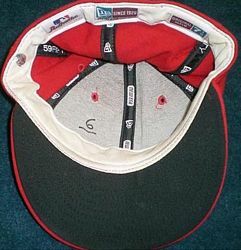 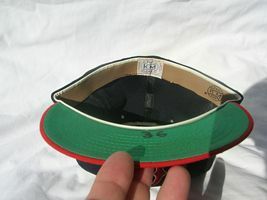 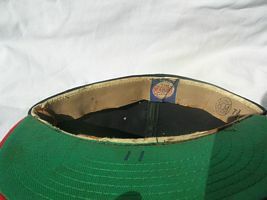 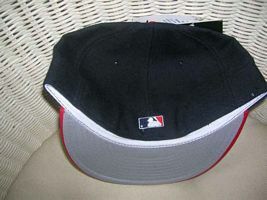 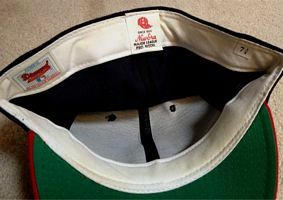 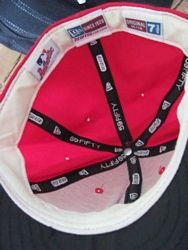 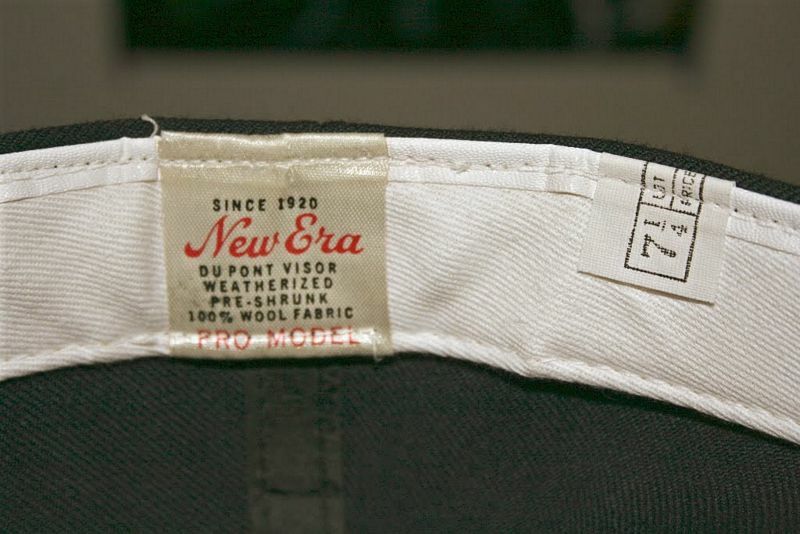 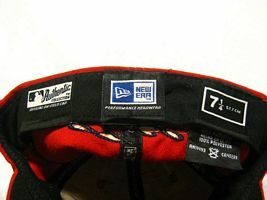 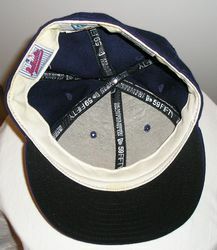 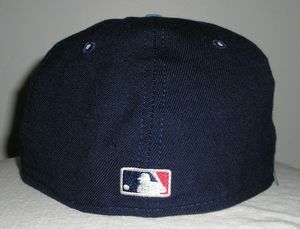 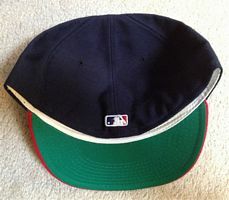 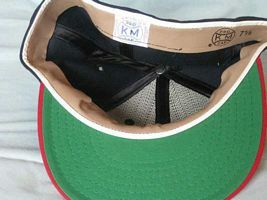 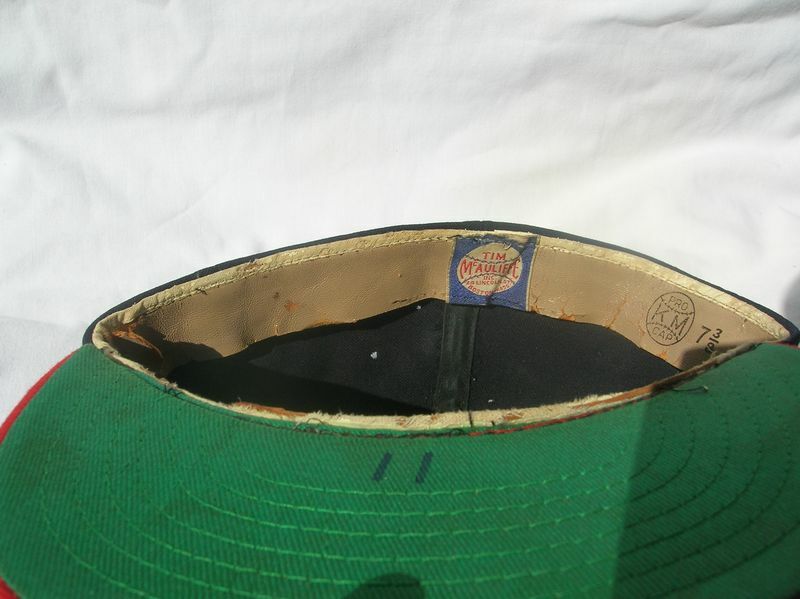 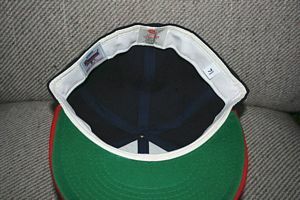 Polyester caps debut in 2007. Halo changes to gold and a commemorative patch added for the team's 50th anniversary.